A good portion of my on-the-clock time is spent working on invasive species issues, particularly educating staff and the public on what constitutes an invasive, why they are considered “bad” and how people can help get rid of them. Staff has taken up the cause with a lot of gusto, or at least with as much effort as they can muster given all the other natural resource management duties that have. And some portions of the public have jumped right in to pulling invasive plants, monitoring for invasive insects and hunting invasive mammals. But I still struggle with reaching out to the general public so they know what an invasive species truly is and why they should care about them. 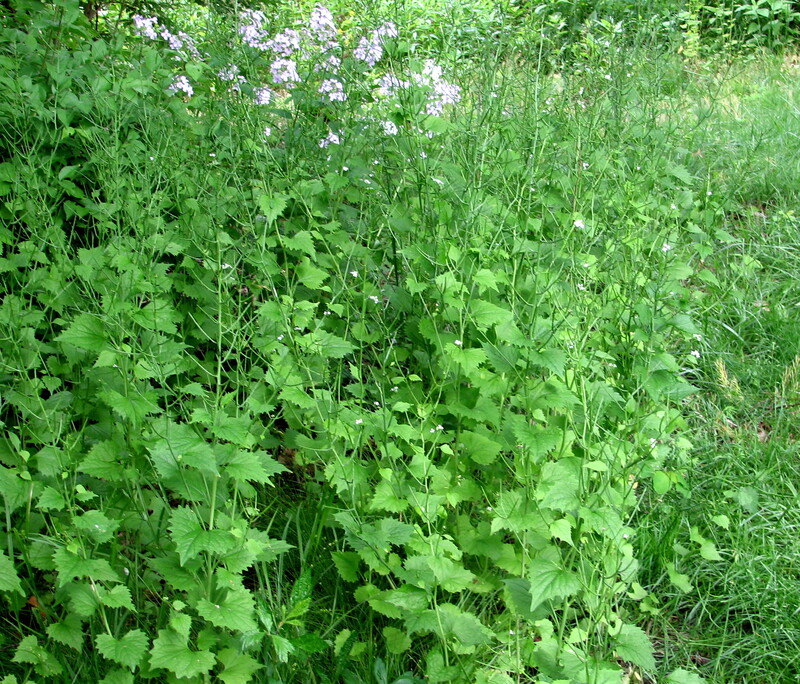 Garlic mustard is a very common invasive plant here in the northeast. It was brought over by colonists as an herb, it escaped from cultivation and has taken over many a forest edge, backyard and roadside. The roots release a chemical with allelopathic properties – meaning that the plant alters the soil chemistry to benefit itself and prevent native plants from growing. If that wasn’t bad enough, the West Virginia white is a butterfly that lays its eggs on native plants related to garlic mustard. If it lays its eggs on garlic mustard, the eggs cannot hatch. So garlic mustard is bad for our native plants and insects. West Nile virus is an invasive pathogen spread by mosquitos. It was first discovered in the U.S. in 1999 and has spread throughout much of the country since then. Infected people can have mild symptoms like nausea and headaches or potentially fatal symptoms like encephalitis or meningitis. While most people survive contracting the virus, roughly 10 percent of severe cases pass away, according to the National Institutes of Health. Zebra mussels are tiny mollusks that arrived in the Great Lakes in boat ballast water. These fingernail-sized critters have since spread to rivers in the northeast and beyond, as boaters take their watercraft to new lakes and rivers in the name of recreation. Zebra mussels, and their kindred – quagga mussels – have caused at least $5 billion (yes, with a “b”) worth of damage to the Great Lakes area between 2000 and 2010, according to the U.S. Geological Survey. These invasive mussels also kill our native mussels by smothering them and they are such effective filter feeders that they leave little phytoplankton for other bivalves and young fish. To me, those are all serious impacts to our lives and the health of our environment and seem worthy of some thought. But I get the sense that still, most people out there have no idea what an invasive species is. How do I get people to care more about them so that they can identify a few of the more troublesome species and take the effort to try and get rid of them (or at least let an agency like mine know so that we can try to help)? I look to you for ideas!